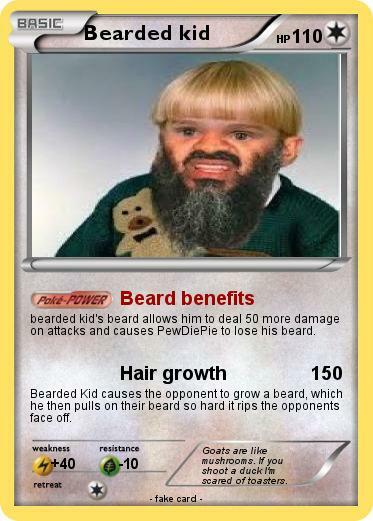 bearded kid's beard allows him to deal 50 more damage on attacks and causes PewDiePie to lose his beard. Bearded Kid causes the opponent to grow a beard, which he then pulls on their beard so hard it rips the opponents face off. Comments : Goats are like mushrooms. If you shoot a duck I'm scared of toasters.